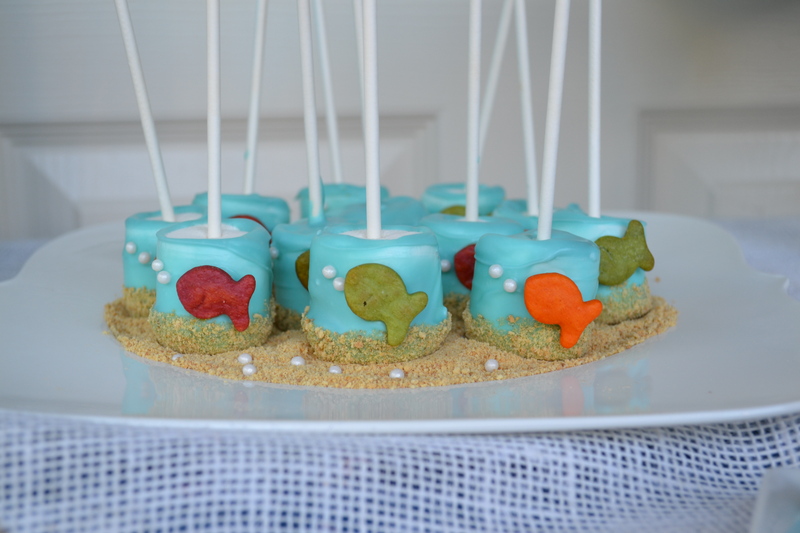 This Under the Sea party is made to be affordable, easy, and lots of fun! Have a mermaid lover, fish lover, or looking for a reason to celebrate summer? 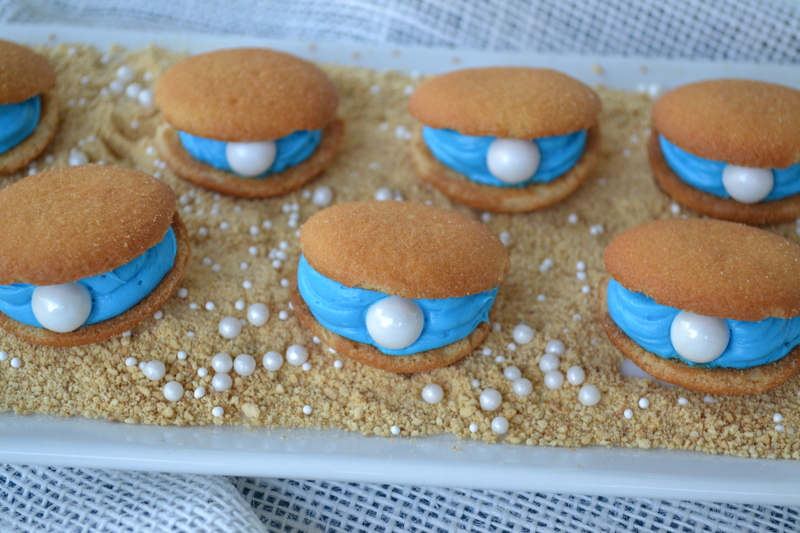 This Under the Sea party is perfect for any of those types of celebrations! Under the Sea Party by Everyday Party Magazine. Hi, it’s Jess and Stef from Everyday Party Magazine here. We are so excited to share the super fun Under the Sea end of school party Stef threw for her little men and their friends! This party is full of simple (and affordable) DIY touches, recipes, and fun! In fact, be sure to hop over to our blog to get the recipe for the coral candy Stef made. Stef hosted the party at her house one afternoon right after school got out for the summer. The kids’ friends were invited over to swim and play, and simply celebrate their new summer freedom. The colors were simple, blues and whites, with vibrant pops of colors. The party was set up with a simple white backdrop, aka closet doors, and brought the colors in with the food, drinks, and table cloth. 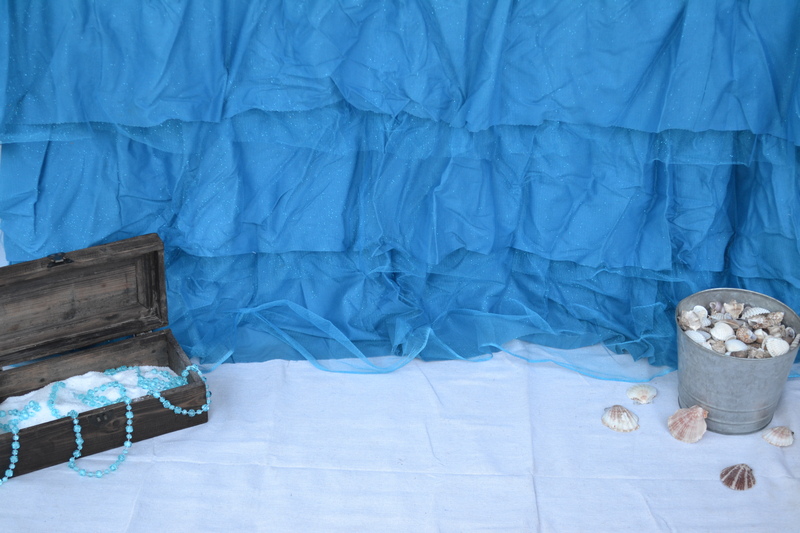 White burlap was swagged on top of the table cloth to break up the blue. 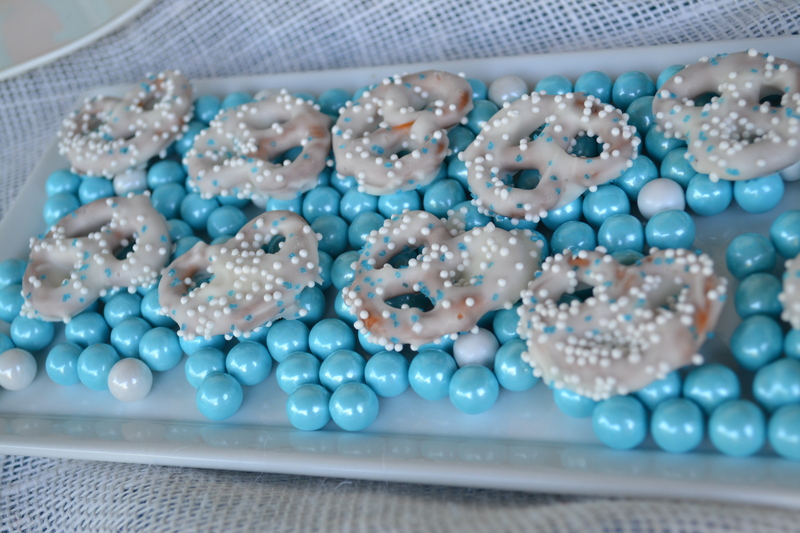 Treats were served on white trays, some in a sea of blue Sixlets candies. 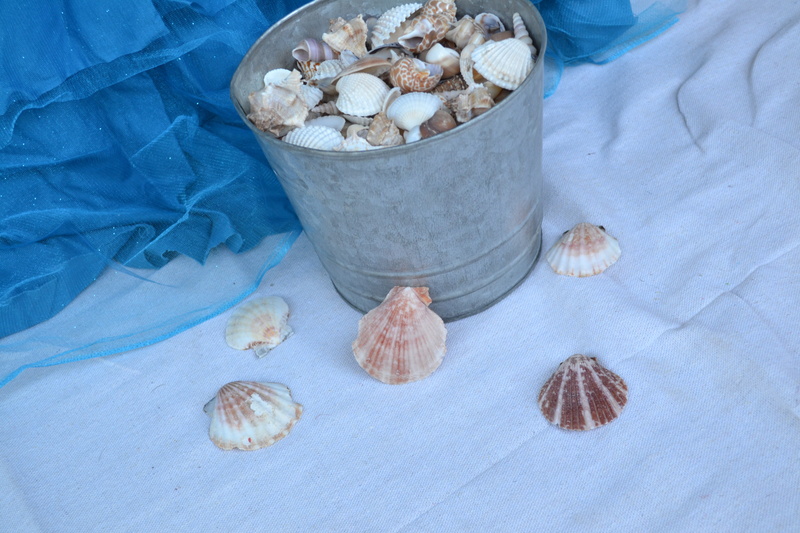 In front of the table, she placed a treasure chest full of inexpensive treasures and a metal pail of sea shells. 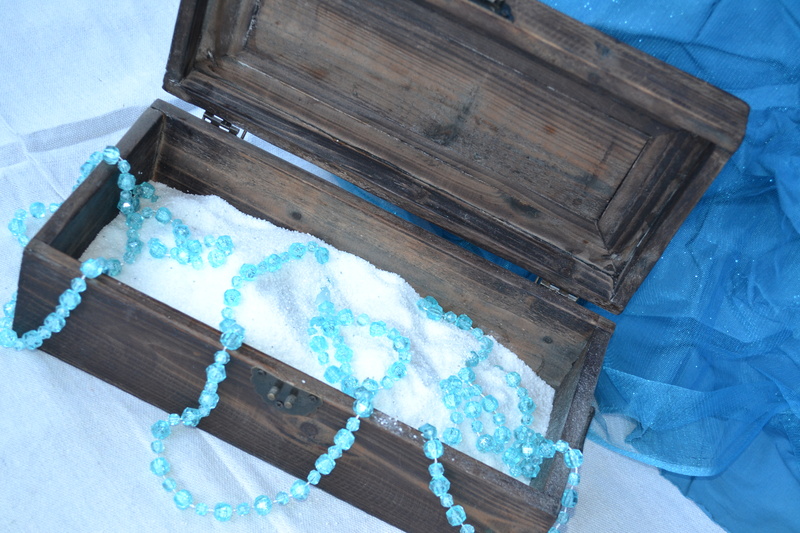 Each little guest was encouraged to get a treasure or two before they left the party. This was a simple and fun alternative to a traditional favor bag. Stef served FUN and simple foods, and the kids really enjoyed it all so much! 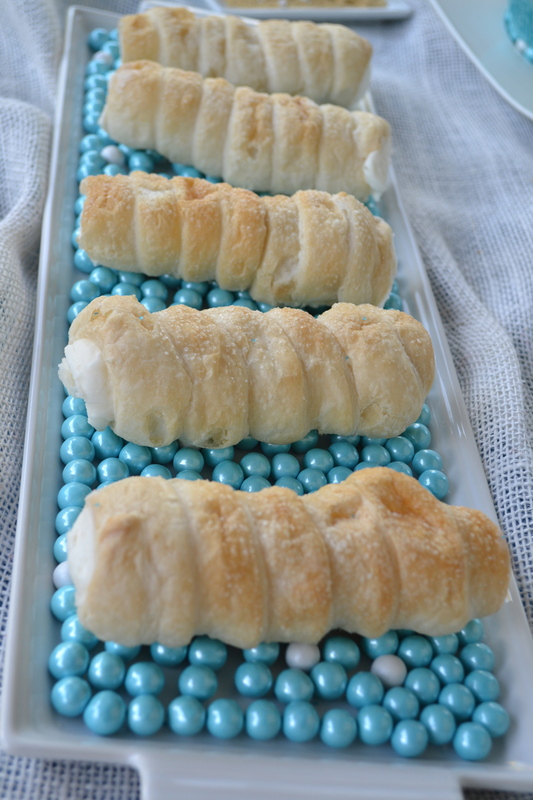 Simple marshmallows were dipped in blue chocolate melts and decorated to perfection. 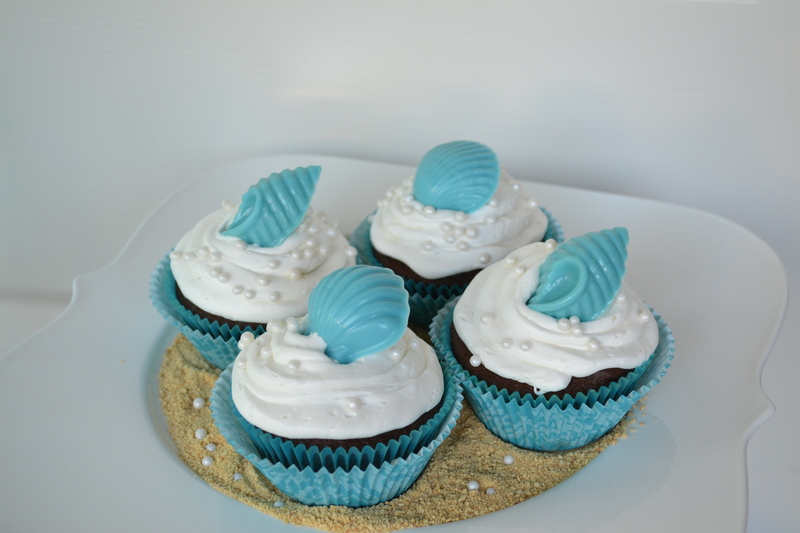 Homemade cupcakes were adorned with blue chocolate sea shells she made with left over candy melts and placed on a bed of crushed graham cracker and brown sugar sand with a few white pearl “bubbles”. 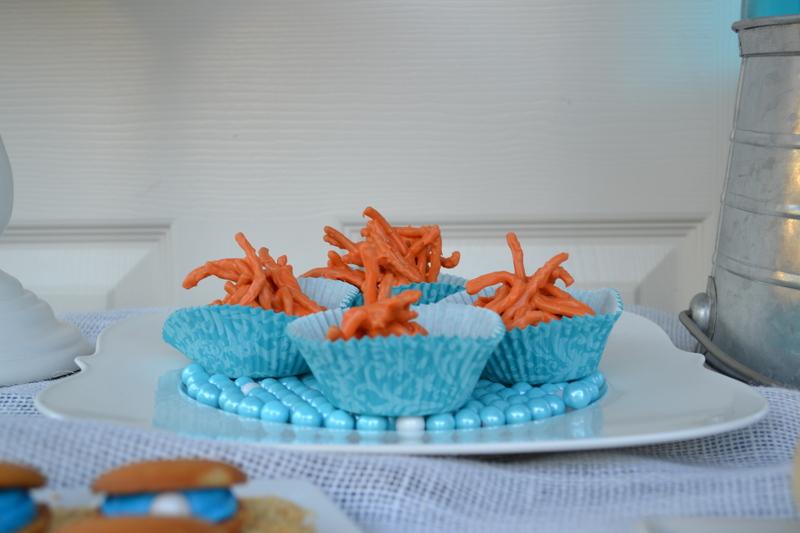 (Store bought cupcakes would be another option too) chocolate covered pretzels, Vanilla Wafer clam shells, sea cucumber cream horns on a sea of blue Sixlets, and AH-Mazing Lo Mein Noodle corals rounded out the treats! Blue sea water juice in a nice glass drink dispenser was placed in the center of the table. A new addition to this party is our fruit bagel fishbowl using Delishfish organic gummy fish! Check out the recipe on how to make them here! This party was so much fun, and was really pretty affordable. 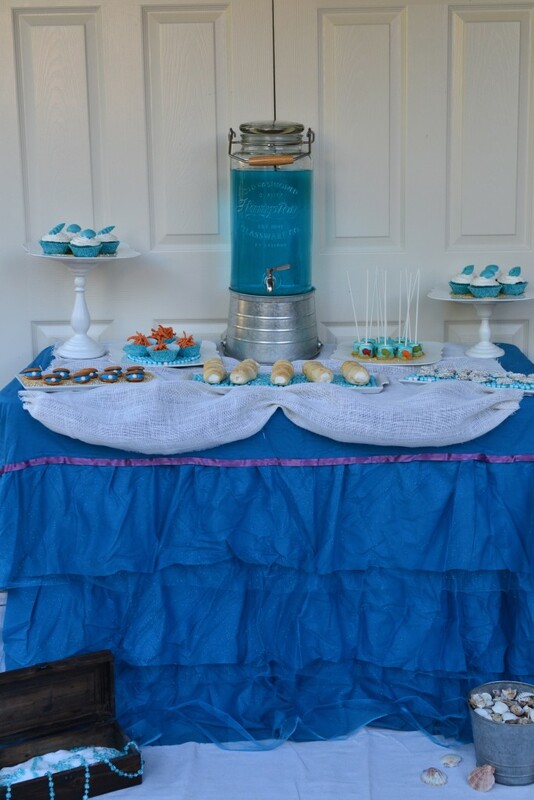 Stef was able to use a lot of decor and food items she already had, and created a fabulous Summer Fun party!